A research journey has many aspects and one is the generosity of your oldest friends. They may not be immersed in the details of your journey but offer unquestioning support to be with you as you take your first steps outward into new realms. And so it was that Miss Whitetree (aka Hippy due to an impending hip operation) and I ventured out on the road to head toward my mentor in North Western NSW. Blue Mountains, occasional cows raised startled heads along the road, the ground was dryer than I expected with sudden shadings of green. We came into our first town to find our B&B and to swim, washing away the travel exhaustion before our initial meeting. Meeting my mentor for this part of the Miller journey was to be taken by the hand and guided into the minds and work of many who influenced or were significantly present in Miller’s time. It was an immersion greater, far greater than our refreshing travel swim. There was an unsteady tower of books occupying a chair for my reference so that I can hunt them down online, in Melbourne or via the libraries. There was another array of art books on a table in a grapevine-ceiling courtyard and this was all before I had produced my questions collated for the trip. Hippy and I began opening pages of beauty. Brancusi drew me in first but I had to share him as there were forms there that Hippy needed to see as she dabbles in the creative process with limestone and soapstone under the tutelage of her sister-in-law Jenny Whiteside. The next day we started a little later than expected and this was the true work day for me with Hippy making her own way through the local museum and local produce stores. Central to my quest is a need, that I underestimated, and that is to be able to view the world with the eyes of an artist, for I am continually finding layers of meaning in Miller’s energy, light, line, form, colour and lattice that I previously missed. 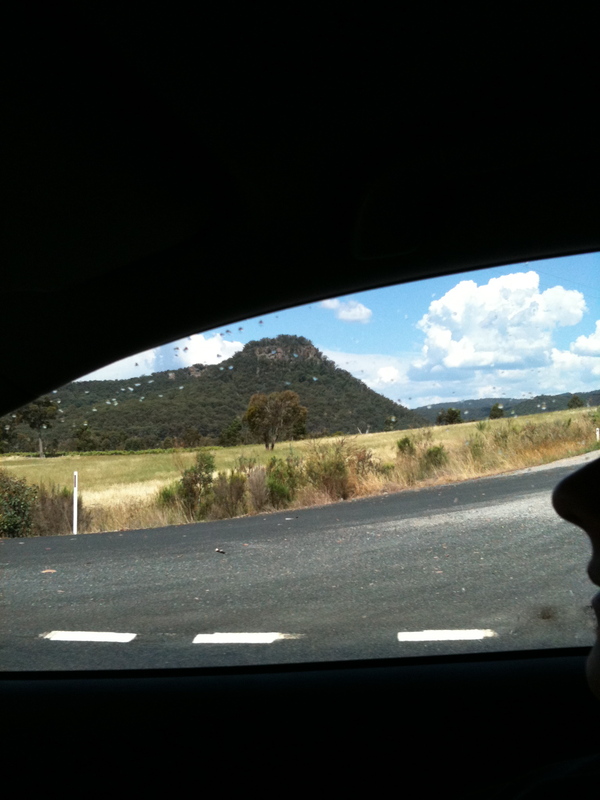 It is apt that we traveled through the Blue Mountains driving over the strata-layers of history with geological moments revealed at odd and unexpected times as the road turned or wound us about. A journey of the elements revealed. Introductory phone calls were also shared with Miller contemporaries and artists giving their words on light with further references for me to search. And quotes too, that Miller gave to students, ‘the line against the half tone’; the anecdote of Miller a man so able to be on the inside that he was observed walking and being literally knocked over by a water bubbler on the side of a building at NAS. It is what is on the inside of Miller that I seek and as a biographer, whilst I am gifted with the exceptional words of those who have written before me, it is this inner man that I question continually as I am guided by the hand of art. Miller responds only when I am ready. 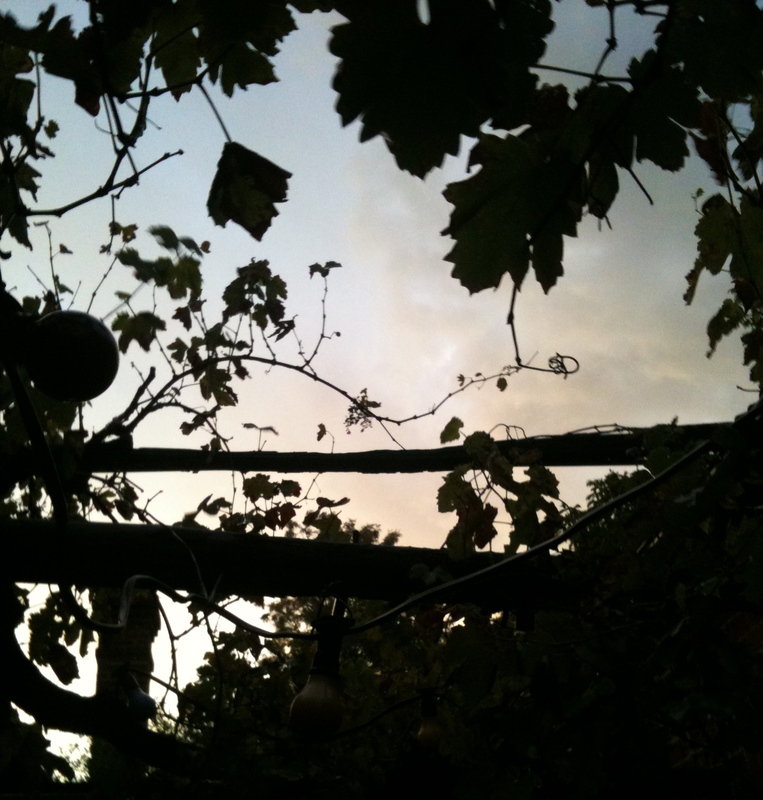 I am about to open ‘The Legendary Lindsays’ when nature offers a moment of drama as a wild storm wafts and weaves its wind and roar through the grapevines. We remove the library treasures quickly and watch the light, the lightning, the rain. The lessons are given in this aesthetic moment. When we finally turn the car away we notice the space inside is crowded with thoughts and words by and about: Brancusi, Klee, Rodin, Gaudier-Brzeska, Dali, Matisse, Picasso, The Legendary Lindsays, Picabia, Kandinsky, Tagore, Dadswell, Hoff, Mackennal, Deborah Edwards, Robert Hughes, Bernard Smith, Tagore, Krishnamurti, Jinanaajadasal, E. P. Northrop, W.G. Hooper, Suzuki and so many more. There is no need for the radio. There is the whole road ahead. This entry was posted in NSW and tagged elements, lattice, Mentor. Bookmark the permalink.